The meteorological monster mash continues. Love it or hate it, the Sharknado series shows no sign of stopping. 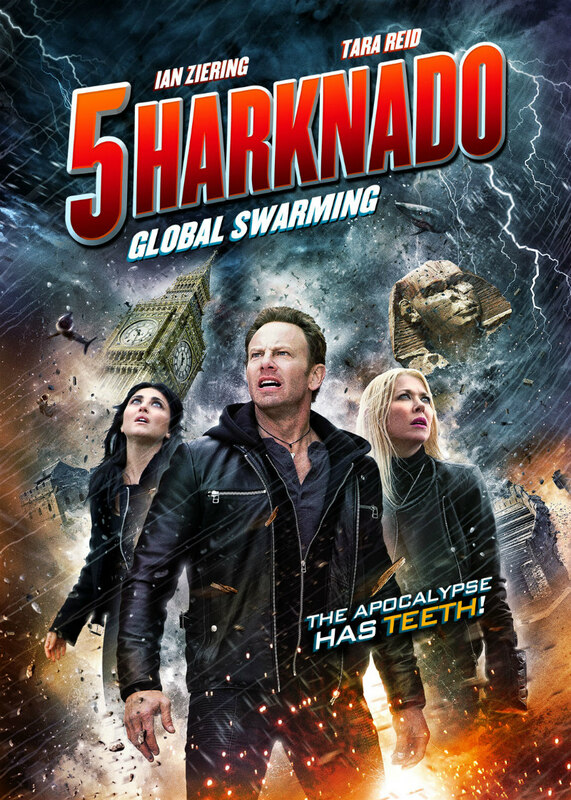 Ian Ziering and Tara Reid return once again for a fifth instalment, Sharknado 5: Global Swarming. At this point, the US has been devastated by constant Sharknado attacks, and it looks like the rest of the world is next on the menu. This sequel also stars Cassie Scerbo, Masiela Lusha, Cody Linley and Chris Kattan, with a host of celeb cameos including Nichelle Nichols, Geraldo Rivera and Samantha Fox. With much of North America lying in ruins, the rest of the world braces for the inevitable: a global sharknado. From London to Asia, South Africa to Mexico, Fin and his family must put a stop to the sharknados once and for all.